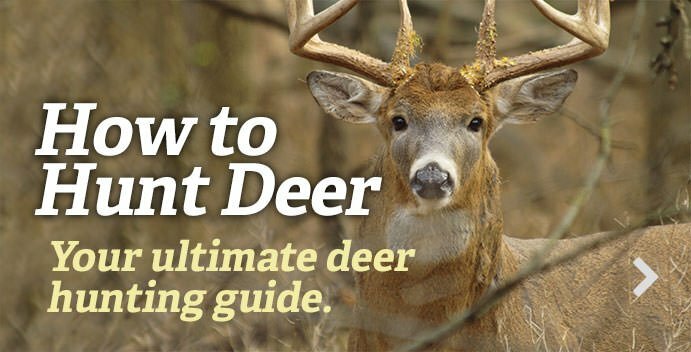 Are You Putting Too Much Pressure on the Deer You Hunt? Deer hunting is a delicate balance of aggression and passiveness. You have to be just aggressive enough in your tactics that you kill the deer you are after, but just passive enough that you don’t screw up and spook the deer. It’s a difficult endeavor, but certainly one with great reward. Applying too much pressure and alerting deer to your presence is a surefire way to spoil a good opportunity. That’s why we always have to be thinking of ways to reduce the amount of pressure while also being aggressive enough to kill the deer we’re after. Here are eight ways to help balance that delicate tactical relationship. It’s imperative to do everything we can to reduce scent. Washing clothes, taking showers, brushing teeth (with baking soda), monitoring the wind and using any other practice available to man that can help keep us off whitetails’ radars. Good entry and exit routes are key. You won’t see deer if you spook them all on the way to and from the treestand. Use strategical routes that keep you concealed from deer and which prevent them from detecting you. Click here to learn more on how to accomplish this. I don’t hunt hard. Instead, I try to hunt smart. Striving to hunt at just the right times is a great way to do this. Hunt on days that offer you the upper-hand. Click here to learn how to identify those high-odds days. Sitting in the same treestand over and over carries the ability to burn out a spot in a hurry. Instead, move around from stand location to stand location. You can do this and hunt the same buck in the same general location. But doing this will keep the deer you’re hunting guessing and will prevent them from patterning you, instead of you patterning them. Invading the middle of the property (too early) you hunt is a fantastic way to screw everything up. Rather than killing your chances of killing a deer, do something that will improve them and hunt the perimeters of the land you hunt until the time is right to move into your honey hole. Mature deer need to feel secure in order to call somewhere home. If they don’t feel secure, they won’t live there. It’s that simple. One way to encourage deer to live where you hunt is to establish a sanctuary that humans never invade. Providing deer with a designated year-round structure of cover that never sees human intrusion is extremely important to consistently killing big deer. It doesn’t have to be very large. Having a sanctuary that is at least 1 acre in size will attract and hold big deer. How long a treestand should go unhunted depends on how much you’ve pressured deer. If a deer blows, wait approximately 10 days before hunting that spot again. Also, if a deer doesn’t know exactly what happened and didn’t pick you out, go back and hunt that area again without fear of burning out the stand. The best solution — and likely the hardest to implement — is to not hunt at all. If conditions aren’t right or you aren’t seeing deer during daylight hours, skip that hunt. It isn’t worth risking pressuring deer. Regroup, study the deer, and be ready when conditions turn right again.